You will receive an e-mail alert when the price of Death Squared will drop. Does anyone actually read these descriptions? They do? And there's someone reading right now? 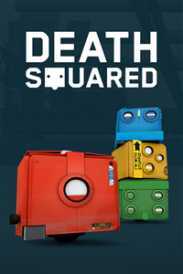 Well, in that case: Death Squared is a cooperative puzzle game for 1, 2 or 4 players, best enjoyed with loved ones who don't mind a little arguing for the greater good.